74 Commercial Real Estate & Properties in Upper Mount Gravatt are listed in 6 categories. We have 39 OfficesSale & Lease , 29 Medical and Consulting PropertiesSale & Lease , 11 Retail ShopsSale & Lease , 5 Other Commercial PropertiesSale & Lease , 2 Development LandsSale & Lease and 1 ShowroomsSale & Lease . Approx. 219m2 of A grade office Boardroom, reception, offices & open plan area Fully carpeted with ducted air conditioning Superb corporate presentation on arrival Positioned in heart of thriving Upper Mt Gravatt Minutes to M1 and 15 minutes to Brisbane CBD Onsite cafe, roof garden & disable friendly Secured parking available on request Inspect today with Exclusive Agent! Located only 12kms south east of the Brisbane CBD, Upper Mount Gravatt is one of the most important business centres outside of the CBD and is serviced by one of the best public transport networks in Brisbane. 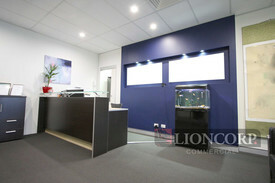 Prime & fully fitted office in heart of Upper Mt Gravatt Approx. 183m2 GFA Open plan with offices, training room & kitchenette Fully carpeted & ducted air conditioning throughout Immaculate corporate presentation Disable facilities & compliant Basement secured parking available Minutes stroll to Coles, Coffee Club & business services Located only 12kms south east of the Brisbane CBD, Upper Mount Gravatt is one of the most important business centres outside of the CBD and is serviced by one of the best public transport networks in Brisbane. Approx. 161m2 fully fitted dining premises Recently refurbished with operating kitchen, dining & bar Fantastic kitchen with exhaust, cool room & facilities Pleasant internal dinning plus exterior alfresco area Capture your business desire with growing residential & commercial customers Inspect today with marketing agent Located only 12kms south east of the Brisbane CBD, Upper Mount Gravatt is one of the most important business centres outside of the CBD and is serviced by one of the best public transport networks in Brisbane. Be ready for a new leasing opportunity in Upper Mt Gravatt Approx 50m2 of well designed space remaining Canopy and grease trap available for food related businesses Disabled compliant, high number of parkings allocated Directly opposite to Coles Village Retail Centre Suited to food service, medical & office use Inspect today with Exclusive Agent! Located only 12kms south east of the Brisbane CBD, Upper Mount Gravatt is one of the most important business centres outside of the CBD and is serviced by one of the best public transport networks in Brisbane. Fully fitted office of 228m2 Well located only stone throw to Coles, Coffee Club & eateries Offices, open plan, reception & toilet facilities Carpeted and ducted air conditioning throughout Signage opportunities available if needed Tenant relocating with approx 2 years remaining Inspect today with Marketing Agent! Located only 12kms south east of the Brisbane CBD, Upper Mount Gravatt is one of the most important business centres outside of the CBD and is serviced by one of the best public transport networks in Brisbane. Ideal location in Upper Mt Gravatt Approx 180m2 combined over two levels Open plan ground floor with toilet & kitchenette 1st floor fully carpeted with glassed offices Extremely well designed & laid out Allocated & exclusive parking onsite Exposure plus with signage opportunity on building Only minutes stroll to Westfield Garden City and public transport Inspect today with Exclusive Agent! Located only 12kms south east of the Brisbane CBD, Upper Mount Gravatt is one of the most important business centres outside of the CBD and is serviced by one of the best public transport networks in Brisbane. Approx. 450sqm of prime office space available Superb location in heart of Garden City Upper Mt Grav att Fully fitted office with corporate presentation Grand boardroom, offices, kitchenette & open plan area Ducted air conditioned throughout Exclusive basement car parks available on request Convenient stroll to Westfield Garden City, food, retail & business services Inspect today with Exclusive Agent! Located only 12kms south east of the Brisbane CBD, Upper Mount Gravatt is one of the most important business centres outside of the CBD and is serviced by one of the best public transport networks in Brisbane. Approx. 80m2 of office space in Upper Mt Gravatt Offices, meeting room & reception area Nature lighting with corporate presentation Fully carpeted & ducted air conditioning Prime position and minutes stroll to Westfield Garden City Easy & convient access to Motor way and Brisbane CBD Inspect today with Exclusive Agent Located only 12kms south east of the Brisbane CBD, Upper Mount Gravatt is one of the most important business centres outside of the CBD and is serviced by one of the best public transport networks in Brisbane. Be ready for a new leasing opportunity in Upper Mt Gravatt Approx 164m2 of well designed space Canopy and grease trap available for food related businesses Disabled compliant, high number of parkings allocated Directly opposite to Coles Village Retail Centre Suited to food service, medical & office use Motivated landlord. Inspection today with Exclusive Agent! Located only 12kms south east of the Brisbane CBD, Upper Mount Gravatt is one of the most important business centres outside of the CBD and is serviced by one of the best public transport networks in Brisbane. 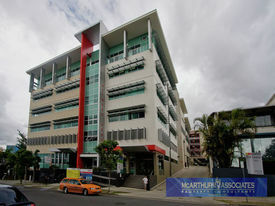 107m2 office space in the heart of Upper Mount Gravatt New 3 year lease commenced 01/04/2019 on Gross Rental of $47,700pa + GST Fitted areas include Reception, Waiting Area, Open Plan Workspace, Kitchenette & Separate Office Immaculately presented, with ample natural lighting Fully carpeted throughout Ducted air conditioning Cafe in foyer + many on Sanders Street Showers on each Level Bicycle Parking The subject property is nestled between major artery in Mt Gravatt Mt Gravatt Capalaba Road and Logan Road. Westfield is only 8 mins walk, McDonald's only 4 mins walk & Coles anchored shopping centre with restaurants, fashion, specialty retail across the road via the back entrance. 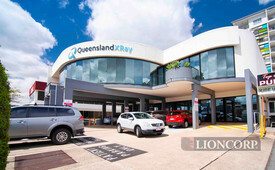 First hand opportunity Centre currently under new restructure to medical Areas from 65m2 Positioned in heart of Upper Mt Gravatt Directly opposite to schools, surrounded by office, retail groups/centres, high density residential, age care centres etc. This is first in first secured position. Inspection today with Exclusive Agent! Located only 12kms south east of the Brisbane CBD, Upper Mount Gravatt is one of the most important business centres outside of the CBD and is serviced by one of the best public transport networks in Brisbane. Ideal opportunity to secure office in the heart of Upper Mt Gravatt Great presentation and in immaculate condition Reception and waiting area, open plan, kitchenette and office Fully carpeted & duct air conditioning Tastefully designed with ample natural lighting Secured basement car parks available on request Only short stroll to Coles Village & Westfield Garden City All services & amenities nearby Located only 12kms south east of the Brisbane CBD, Upper Mount Gravatt is one of the most important business centres outside of the CBD and is serviced by one of the best public transport networks in Brisbane. Approx 200m2 freehold on busy Logan Road Option of 100 m2 first floor for $20,000 plus GST, 100 m2 ground floor for $30,000 plus GST or whole of premises for $50,000 plus GST Located directly opposite to Westfield Garden City Fully fitted with office rooms & bathroom etc. Ample parking onsite Signage space available Concentrated region for medical, physio & general office use Low attractive rental Located only 12kms south east of the Brisbane CBD, Upper Mount Gravatt is one of the most important business centres outside of the CBD and is serviced by one of the best public transport networks in Brisbane. 301m Versatile Corporate Suite - Key Services Hub $9,406.25 pcm Gross plus ..
107m2 1 car park Suit owner occupier One of 6 Strata Units Body Corporate Approved main road signage Customer Parking The property is situated in a small convenience centre on Logan Road and offers 107m2 of functional office /destination retail space. Located in the heart of Upper Mount Gravatt and offering ease of access to main arterial roads, in close proximity to Westfield Shopping Centre and a host of professionals and service providers. 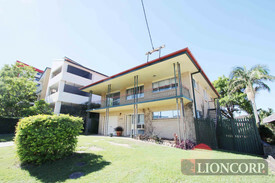 Please call Jose Rojas on 0431 245 598 or Nina Brailey on 0415 387 727 to schedule your inspection. Exceptional Ground Floor Investment Not To Be Missed Contact Exclusive Marketi.. Positioned in prime Upper Mt Gravatt Commercial precinct Combined 411m2 approx over 2 tenancies To be sold in one line Currently returning $167,000 Nett + Outs + GST p.a. Come with 15 Secured Basement car parks Leased to Nationwide tenants Only minutes to Coles Village & Westfield Garden City Ideal for Strategic and Savvy Investors seeking future growth Contact Exclusive Marketing Agent Located only 12kms south east of the Brisbane CBD, Upper Mount Gravatt is one of the most important business centres outside of the CBD and is serviced by one of the best public transport networks in Brisbane. Convenient Location | Close To Public Transport | Cafes And Shops Nearby $184pw | 2 Person Workspa..
PROPERTY OVERVIEW $184pw Price incl. Groovy shared workspace in accessible Upper Mount Gravatt location. Price includes: Internet, Electricity & Kitchen Flexi Terms Regular Cleaning Conveniently located in Brisbane's southern suburbs Avail NOW for short or long term rent. 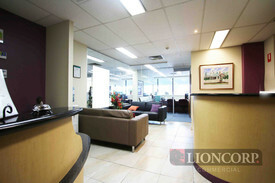 This workspace is located in the heart of the Upper Mount Gravatt Commercial District. 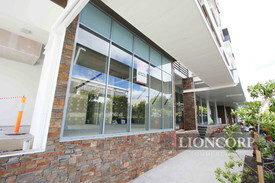 With a prime position on Logan Road, your business will have great street front exposure. 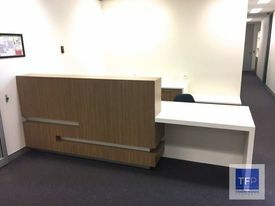 There are a few private offices available which will be suitable for any small business of professionals.The building is directly opposite the new Westfield Garden City, with public transport nearby and good road links to the Brisbane CBD The advertised office space is perfect for a team of 2. If you need more or less space, we have over 30,000 furnished workspaces all over the world suitable for a team of 1 to 200+. Our award winning team offer a free service that will help you find the perfect solution for your needs, so reach out if you need more help. What you get for your weekly rent Access to shared meeting rooms Building outgoings Electricity ADSL2 Air conditioning Cleaning included Access to shared kitchen facilities Flexible terms 24 Hour access Office and Building features Office wide WIFI Lift access Disabled facilities Access to IT support Dedicated mens and womens bathrooms Car parking in surrounding areas 1km to Garden City Bus Station 15 minutes from Brisbane CBD 3 min walk to Westfield shopping centre 5 min walk to popular restaurants & shops! WHO IS OFFICE HUB? Office Hub is Australia & New Zealands No 1 small office space commercial real estate agency. We have the largest collection of shared spaces, coworking and serviced offices in Australia & New Zealand, perfect for 1 200 employees. Let us take you on a tour of all the spaces that fit your needs and budget. Our service is complimentary and we work for you and the landlord to negotiate the most competitive deal in the market. Let us show you how shared and serviced offices can be the perfect solution for your business. www.office hub.com.au www.office hub.co.nz Conditions apply A portion of the square meterage factors in access to shared space. Price includes any incentives offered. This is for new tenants only. Premium Quality Office In Prime Office Tower Contact Exclusive Marketi..
Well located in the business hub of Upper Mount Gravatt Approx 116m2 fully fitted offices, boardroom, kitchenette and open plan area Carpeted and ducted air conditioning throughout Only minutes stroll to Westfield Garden City Business amenities and public transport nearby Convenient access to Pacific Highway and approx 10 minutes to Brisbane CBD Contact Exclusive Agent to inspect Located only 12kms south east of the Brisbane CBD, Upper Mount Gravatt is one of the most important business centres outside of the CBD and is serviced by one of the best public transport networks in Brisbane. 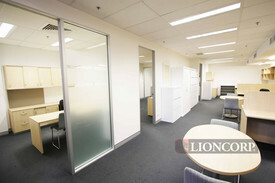 68m2 available Fully fitted offices, boardroom, reception and open plan area Carpeted and air conditioned throughout Centre recently refurbished with modern appeal Only walking distance to Coles, Coffee Club and Banking Services 2 Car park spaces Public Transport within walking distance Inspect today with listing agent. Located only 12kms south east of the Brisbane CBD, Upper Mount Gravatt is one of the most important business centres outside of the CBD and is serviced by one of the best public transport networks in Brisbane. Approximately 91m2 of fully fitted office Comprising 4 offices including meeting room, reception, open plan Quiet productive environment facing park Fully carpeted with ducted air conditioning 2 Car park spaces Only a short stroll to Coles Village and Business amenities Public transport nearby Inspect today with marketing agent Located only 12kms south east of the Brisbane CBD, Upper Mount Gravatt is one of the most important business centres outside of the CBD and is serviced by one of the best public transport networks in Brisbane.